The fateful day the X-Men’s trip into space led to the Phoenix’s emergence. Marvel’s X-Men comics are certainly beloved, but it can be difficult to go back and read up on the publisher’s back catalog because so many of the series’ plot lines are ridiculously convoluted. Take, for example, the Dark Phoenix Saga that forever changed the X-Men and made Jean Grey one of the most controversial characters in comics history. Between all of the retcons, resurrections, and lack of clarity about whether Jean Grey was truly possessed by a primordial, extradimensional god of creation and destruction, the Dark Phoenix Saga can be narratively muddy to the point of confusion, something made even worse by the number of subsequent arcs that poke and prod at the specific nature of Jean’s relationship to the Phoenix. In reality, though, there are really only a handful of key plot points you absolutely have to know in order to understand how the X-Men first encountered the Phoenix Force in space—and how they became forever ensnared in the being’s fiery, life-altering talons. 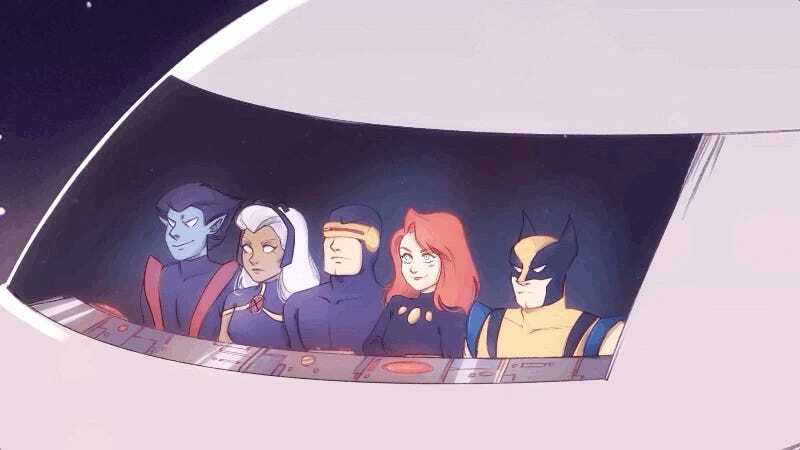 With that in mind, Marvel’s whipped up a succinct animated explainer touching on the Dark Phoenix Saga’s greatest hits. It’s blessedly short and pretty damned charming, to boot. If, for some reason, you want to undertake the task of exhaustively learning everything there is to know about the Phoenix, you’ve still got a few months before Fox’s latest live-adaptation of the story hits theaters next Valentine’s Day. But be warned: it’s...dense, folks.